If you're making a list of things to see while in Nashville, be sure to include some of these top museums. In addition to the well-known Parthenon, you can also explore museums specializing in visual arts, trains, and Tennessee state history. There are also several hall-of-fame museums that honor musicians and sports figures. The Country Music Hall of Fame and Museum is one of Nashville's most famous museums. Located in the heart of downtown Nashville's entertainment district, the museum is 40,000 square feet of pure country music history and memorabilia, right down to Webb Pierce's Silver Dollar Cadillac. Cheekwood Botanical Garden and Museum of Art is a 55-acre cultural attraction completed in 1932 by the Cheek family. 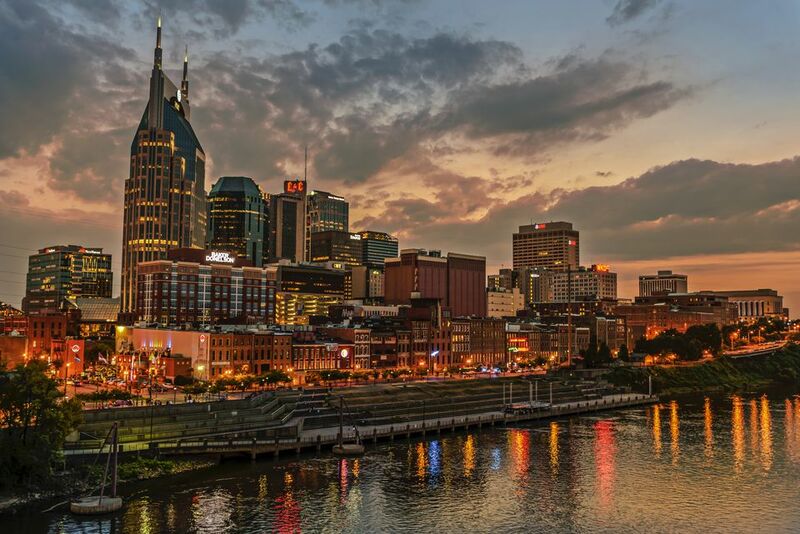 It is located eight miles from downtown Nashville. The estate features 11 specialty gardens, paintings, and sculptures. Come in spring when more than 100,000 tulips are in bloom. Cheekwood plans many classes, workshops, and festivals appealing to all ages. The Musicians Hall of Fame and Museum covers all genres of music including country, rhythm and blues, soul, funk, jazz, rock, and pop. It provides an inside look at the musicians and instruments that helped produce some of the greatest recordings of all time. It's located on the first floor of the Nashville Municipal Auditorium. Located downtown on Broadway in Nashville's historic Art Deco post office building, the popular Frist Center is a cultural hub of the community. The Frist Center features some of the world's greatest art, plus an array of films, lectures, music events, and family activities. Visitors age 18 and younger get in free. The Tennessee Central Railway Museum is dedicated to the preservation of Tennessee's railroad heritage. TCRM is home to a unique collection of historic equipment such as passenger cars, cabooses, and freight cars. The museum also operates passenger excursions in Middle Tennessee, providing a unique opportunity for everyone to experience the joys of rail travel. The Tennessee Sports Hall of Fame is a 7,200-square foot facility located in the Bridgestone Arena. Honorees include athletes, coaches and sports writers who have made a mark in Tennessee sports history. It also features interactive games such as virtual reality, one-on-one basketball, a strength-training apparatus used by Olympic swimmers, college football, and basketball exhibits, NASCAR video games and more. This Nashville museum is one of the largest state museums in the nation. The Tennessee State Museum features exhibits with Native American artifacts dating back 15,000 years as well as more modern state history. Located in downtown's James K. Polk Cultural Center, the museum offers free admission to all permanent exhibits. Built in 1897, The Parthenon is a full-size replica of the Parthenon in Athens, Greece, and like the original structure also centers around a large statue of the goddess Athena. Its impressive art collection contains paintings by 19th and 20th century American artists. Read more about the history of Nashville's Parthenon.